Our shadows enjoyed an extremely full day in Algonquin Park. 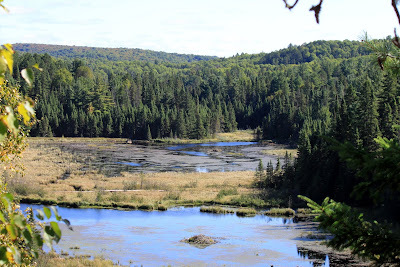 After a bit of birding around our B & B we set off for a full day in Algonquin Park. 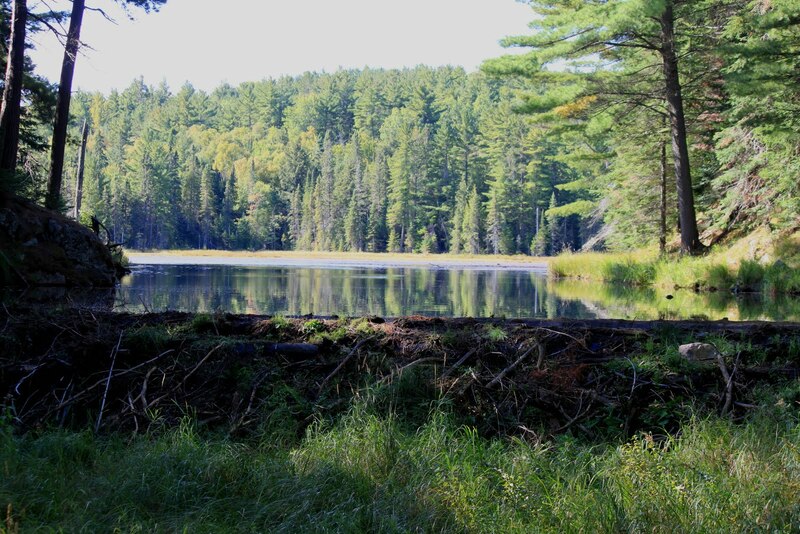 The first trail we did was "Beaver Pond." 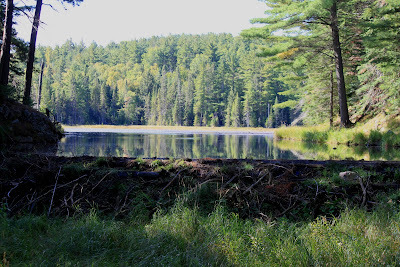 We saw many beaver dams while on the trail, but no beavers this trip. 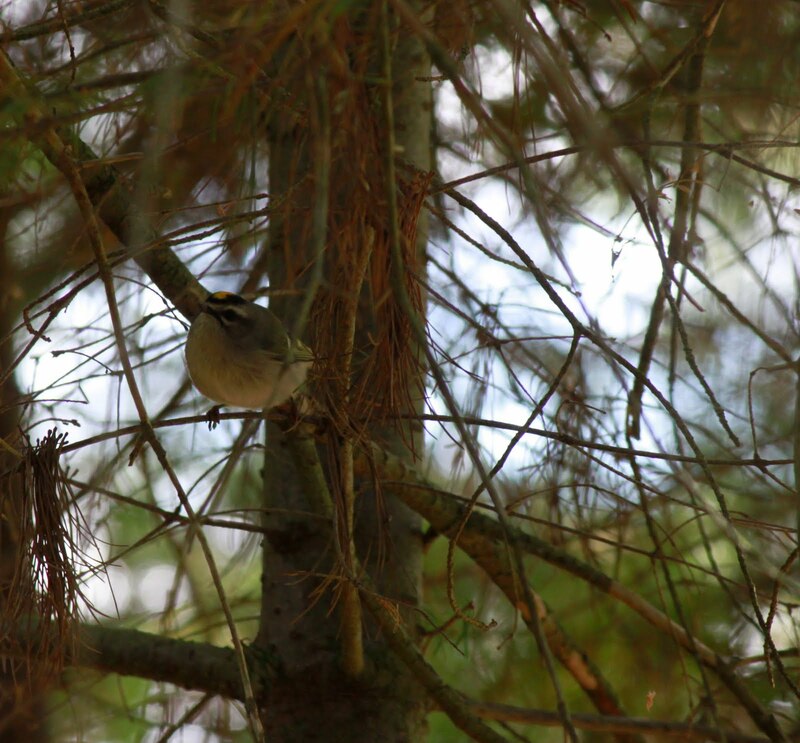 Golden Crown Kinglets were sighted. We spotted a Great Blue Heron looking for breakfast. The scenery on this trail was stunning and I look forward to hiking it again. It was such a peaceful, beautiful hike. 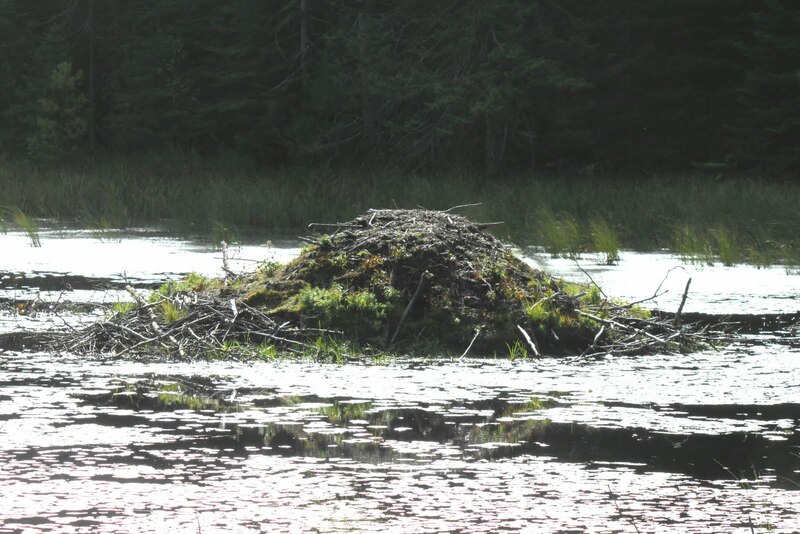 Did you know that Beavers and Humans are the only 2 species that can change the landscape to suit their own purpose? After "Beaver Pond Trail" we visited the Visitor Centre" again where we became "Friends of Algonquin Park" and checked out the sightings board. 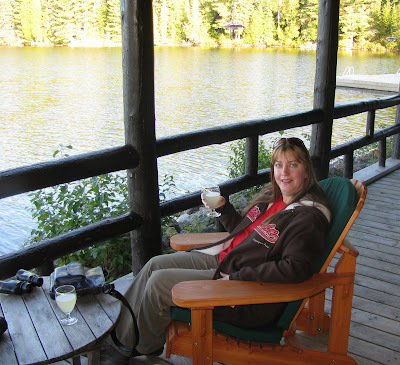 Then we were off to "Peck Lake Trail". 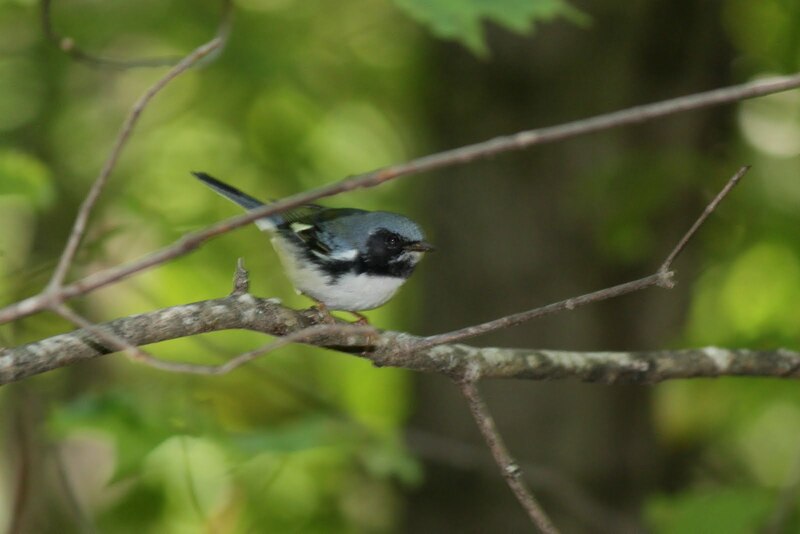 A Black-Throated Blue Warbler was spotted almost as soon as we entered the trail. Again, the scenery was stunning. 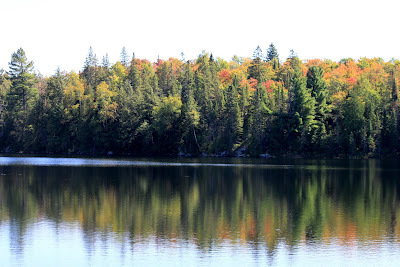 By the end of this trail I was famished, so we headed off to the "Portage Store" by Canoe Lake to have our picnic lunch. It was here that we saw and heard our first Loon of the trip. A parade of Common Mergansers kept us entertained during our picnic lunch. After lunch we went to the back area of "Mizzy Lake Trail" where we had all sorts of surprises. 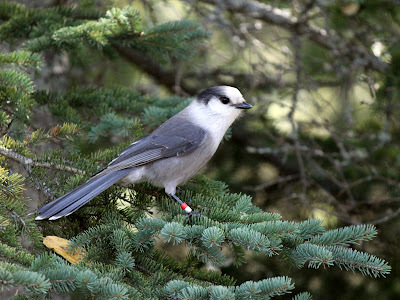 First, we got to hand feed some Gray Jays!! Rob having fun with a Gray Jay. 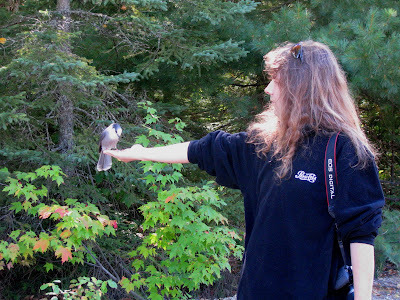 Hand feeding Gray Jays is my favorite thing about visiting Algonquin Park. Such a pretty bird, they always look like they are smiling. 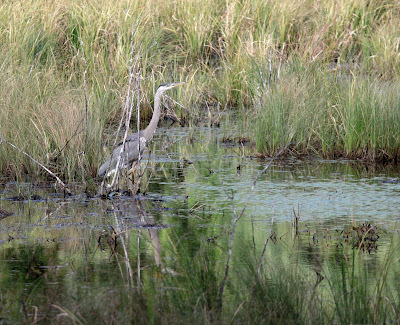 The second surprise was running into our friend and fellow birder, Ann and her friend Janice on the trail. They showed us our first and only lifer of the weekend, "Boreal Chickadees". After all the fun of chasing the Boreal Chickadees around we walked further down the trail to where Ann and Janice had saw a couple young bull moose the day before. 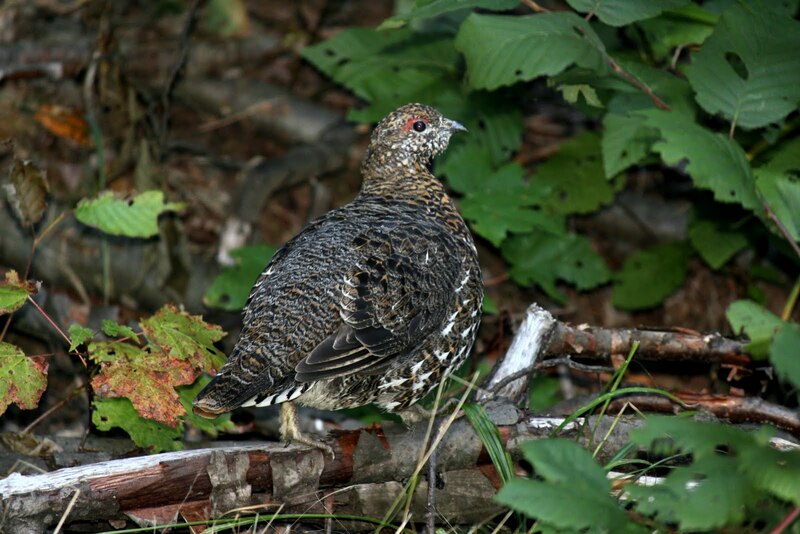 No moose, but Rob and I continued further along the trail after saying goodbye to Ann and Janice and saw what we were informed is a rare sighting, a Spruce Grouse. This was the second time we had seen one in the park. A young male Spruce Grouse. 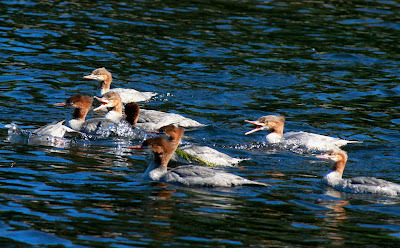 After walking back and stopping to feed the Gray Jays again we headed to Arowhon Pines where we had dinner reservations. Arowhon Pines is a "rustic resort" situated right in Algonquin Park. Enjoying a lemonade on the wrap around porch before dinner. The "heritage lodge" where breakfast, lunch and dinner is served to the guests is open to the public if room allows. The six sided cathedral ceiling log cabin over-looks a lake and features a huge fire place in the middle of the room. Our table for the evening over looked the lake where we could watch the Loons. The dining room was charming. The huge fireplace in the centre of the dining room. Dinner consisted of a wide variety of appetizers, and desserts set up on big buffet tables. You picked from four hot entrees, which change nightly, and soup of the night. It was a lot of food, but at $70 per person, plus tax, added on 15% gratuity AND bring your own wine, there should be. Dinner was good, and I was glad we went, but I don't know if I'd go back. I'd rather it be a little less pricey, with a little less choice. But, it was nice to have our dinner in such a beautiful building watching the Loons swim by in the lake. They brought Rob a cupcake because they knew it was his birthday. After dinner we headed back to the B & B where the owner and his wife invited us to sit outside with them by a fire under a star filled sky. It was a lovely way to finish an amazing day before we fell into bed exhausted from out outing hoping to hear the howling wolves, which we did. And the story continues for one more day.